Mass-training: training your small child to act like a human being, not an animal, at church. 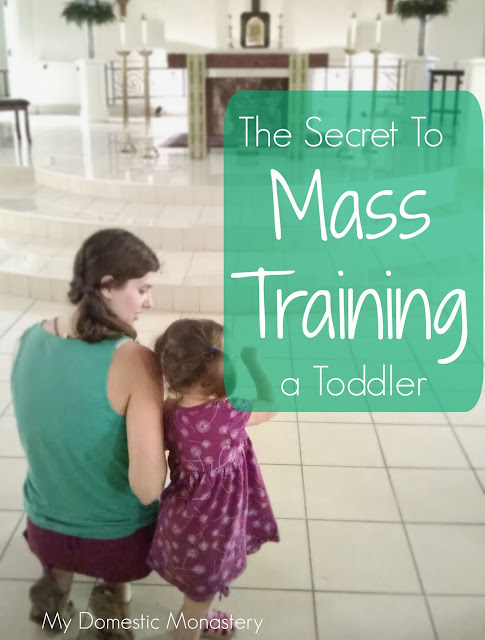 It's interesting Mass-training a toddler for the second time. The first time is, of course, trial and error. The second time is trail and error (she is a different child, after all) combined with trying to remember what I learned the first go around. But I've done it. I've discovered the secret to Mass-training a toddler!!! Are you ready for this? Lower your expectations. A LOT. I think that when it comes to bringing our small children to Mass, we have this expectation that they should be able to be well-behaved. If they aren't we think that either a) we are failing as parents or b) they are failing as kids. But there is an option c) keeping in mind that you can only expect from your child what he or she is capable of. Recently, I remembered a trick I tried with Therese and I've started using it with Maria (who struggles even more than Therese did at Mass). I set a reasonable goal for the amount of time that I think she can actually stay in the pew and behave, and once she's achieved that goal we can go to the back of church together (where she can walk around, get a drink or water, bless herself at the holy water font, etc.). Currently, our goal is to make it until after the Gospel is read. That's it! If she makes it in the pew being (relatively) quiet until that point, we go to the back of church and she's free to move around. 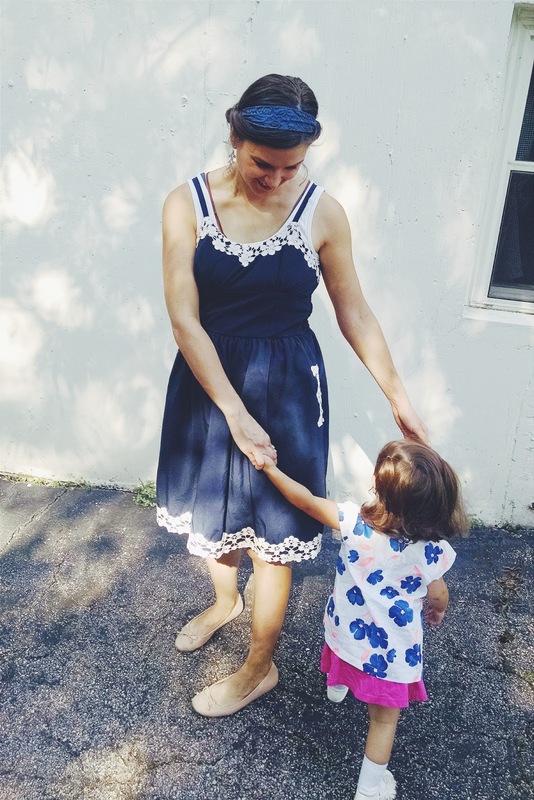 Gradually, I'll move that goal farther into the Mass, but having such a simple goal means that I don't feel like a failure if we end up in the back of church (or in a cry room) and I don't feel like she's failing. It frees me up to just be present to her. Maybe your goal is making it through the Gloria, or the Opening Prayer, or the First Reading. 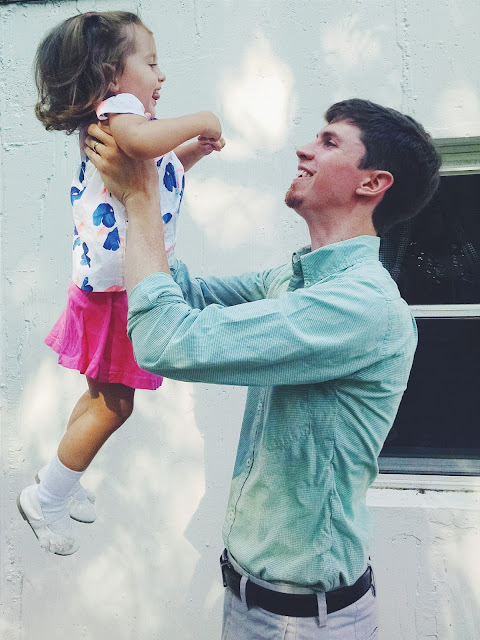 The goal is to figure out how long or little your wiggly toddler can manage, and then give yourselves both a break. This works even if you have multiple little ones. Everyone can go to the back together, and if they don't behave perfectly back there it's okay. They're little. They're learning. The average kid will eventually mellow out at Mass. There isn't a set age for that, because it depends on the kid. Some will take much longer than others. But the thing to remember is - let your standards be based on your child. And remember, the goal of Mass is not good behavior. The goal of Mass is worshipping and loving God. As far as I'm concerned, good behavior is important at Mass for the same reason it's important anywhere. We need to be considerate of others, and we need to be polite, and we need to know what's acceptable. In that sense, good behavior at Mass (or anywhere in public) is worth trying to teach. BUT if your child isn't there yet, it is not a waste for you to bring her to Mass. If you have to spend half (or more) or your Mass in the narthex or the cry room, you are not wasting your time. They are having that time with Jesus, and He is working on their little hearts, helping them to grow in love. Even if it doesn't seem that way, He is! Another reasonable goal I have as a parent is to help them understand that Jesus is in the tabernacle, and to teach them to say hi to Jesus or (with girls) to blow him a kiss. Therese didn't learn to genuflect for the longest time, but Maria ended up teaching herself. That's less of a goal than just learning that Jesus is there, that He loves them, and that we should tell Him that we love Him back. Honestly? Everything else is icing on the cake. So remember the secret - LOWER those expectations. Expect less of yourself and of them. Give the rest to God. I guess I am doing ok with my toddler then? I think he made it halfway through the homily and my husband had to take him at the back.